and greatly relieve these symptoms. In September, 2011, the Dr. Oz website again featured Sea Buckthorn’s benefits in a blog post by Jacob Teitelbaum, MD regarding Sjogren’s disease, which is an autoimmune disease that attacks the tear and salivary glands and generally results in widespread dryness in the body. It can also result in difficulty breathing and problems with digestive and bowel function. He says that dry eyes and mouth, symptoms of a condition called Sicca syndrome, is common not only in Sjogren’s but also in Fibromyalgia and in normal life. Although artificial tears and saliva are helpful, natural treatments can also help stimulate your natural lubrication. Just as oils are lubricants in your car, they can also assist lubrication in your body. Sea Buckthorn oil is especially important for dry eyes. Read about sea buckthorn for Sjogren’s Syndrome here and how it can relieve Fibromyalgia here. Dr. Teitelbaum’s post explained that Sea Buckthorn oil is rich in a special essential fatty acid, Omega-7, and how this remarkable and little-known nutrient is very helpful at improving lubrication throughout the body – including tears, saliva, bowel protection and vaginal dryness. Learn more about sea buckthorn’s omega-7 content here. Yes this is true! In a study performed by the University of Turku in Finland, one-hundred 20-to 75 year old participants found that after using Sea Buckthorn oil for three months found their symptoms greatly reduced in redness and discomfort. 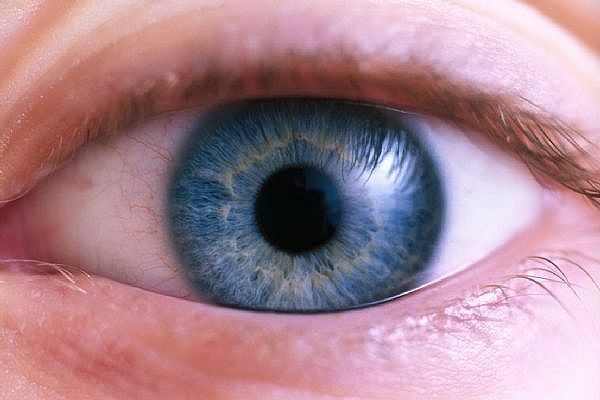 Researchers stated that evaporative dry eye is associated with meibomian gland dysfunction and abnormalities of the tear film lipids. Dry eye is known to be affected positively by intake of EFA’s such as linoleic and γ-linoleic acids and n-3 fatty acids. Oral sea buckthorn (Hippophaë rhamnoides) (SB) oil, which contains linoleic and α-linoleic acids and antioxidants, has shown beneficial effects on dry eye. They also noted that sea buckthorn oil is a rich source of vitamins C and E, and that these antioxidants may protect the eye from oxidative damage. Daily supplements of the oil for three months also produced improvements in symptoms for contact lens wearers, according to findings published in the Journal of Nutrition. Obviously, the benefits of Sea Buckthorn are tremendous. Daily use will not only improve the discomfort of dry eyes, but will also provide a number of healthful benefits such as beautiful skin and nails and improved immune system efficiency. We recommend this wonderful oil and use it every day. For more information on sea buckthorn for every day well being, click here. Järvinen RL, Larmo PS, Setälä NL, Yang B, Engblom JR, Viitanen MH, Kallio HP. Effects of oral sea buckthorn oil on tear film Fatty acids in individuals with dry eye. Source: Department of Biochemistry, University of Turku, Turku, Finland. Larmo PS. Oral Sea Buckthorn Oil Attenuates Tear Film Osmolarity and Symptoms in Individuals with Dry Eye. Journal of Nutrition. 16 June 2010. Published online ahead of print, doi: 10.3945/jn.109.118901. eyelids which the dermotologist treated with an antiboitic and skin cream. Yesterday, I discovered Sea Buckthorn Seed Oil at the local Health Food Store and have been reading about it on the internet. I’m concerned about any possible side effects. I am taking an aspirin 81 every day and bleed easily. Otherwise no significant health problems. I have an appointment with Emory Eye Center to find out about the Lipiflow procedure next Monday. If you can send me anymore info about SBT, I would greatly appreciate it. Sea buckthorn oil is just a natural berry that grows in various regions around the globe. The oils are natural extracts from the berry or the seed. There are no known side-effects from supplementing or eating this fruit. If you are concerned you should absolutely check with your physician first. Sea buckthorn is just a berry that contains all known omega fatty acids, 3, 6, and 9, the rare omega 7 (which has clinical studies showing it’s effectiveness for dry eye), numerous vitamins, minerals, over 190 phytonutrients, trace elements, extreme antioxidants, etc. It’s being called a super food or super fruit for these reasons. Best of luck to you! Hope this helps! Thanks for this article. I’ve suffered from dry eyes since my early 20s (now 37). I use LacriLube eye lubricant every night without fail and Poly Tears during the day. I’ve recently purchased Sea Buckthorn tablets, each is 350mg. How much should I be taking a day and how often for severe dry eyes? First of all Mark if by tablets you mean dry pills than please do yourself a favor and get a high quality oil! Nothing contains the essential fatty acid profile, especially the Omega 7’s that can help with Dry Eye, like the pure oils do. The link on our sidebar is a retail site that sells sea buckthorn oils and soft gels. Secondly, we recommend taking 2-4 500mg soft gels per day. How do apply oil ? Like drops for eyes or internally? Taking oil internally as a dietary supplement will help with dry eyes. Do not put oil in your eyes! Hi, I suffer with reoccuring corneal erosion. Basically after scratching my cornea years ago it refuses to heal, new tissue grows but does not attach and therefore the scratch gets repeatedly reopened. This is excruciating and frustrating, the many eye drops I have been prescribed have not helped. Could the oil capsules help me? How long do they take (on average) before results are prominent? I have seen a lot of positive reviews in regards to sea buckthorn in response to soft tissue repair, which is what I think you need because of your condition. Everyone is different so there is no way to say for sure how quickly any supplement will work for you. I would speak to your physician about if this would be the right kind of supplement for your specific condition. I recently found out about dry eye syndrome, and at the same time noticed that the symptoms are similar to what I’m experiencing now. I’m glad I took the initiative to do some research and immediately see an eye doctor in Arizona. He prescribed my some supplement rich in Omega3 fatty acid and also advised to include foods that have the same nutrients in my diet. So far the medication is working well and I don’t feel any irritation in my eyes anymore, except when I over strain them by spending long hours in front of the computer. what is the best way for the body to take in the berries ???? are there any eye drops ? There are many methods to taking sbt berries but we really think the oil is the best method. The reason why is that all of the vitamins and nutrients are concentrated in the oil. Many beneficial nutrients, such as omega content, are lost during the harsh processing of sbt powders and juices. You can eat it but the berries are very bitter and depending on where you live, hard to find. We are not aware of any eye drops on the market but taking the oil internally will be enough to hydrate your cells and in this case your eyes. I take Krill oil daily as a dietary supplement. Could this replace that or would it be most beneficial to take both? If you find a brand that has a blend of the fruit and the seed oil in a capsule then, yes you can replace the krill. The seed has Omega-3 (which is likely what you are taking the krill for) and the fruit oil has Omega-7 which also boosts cellular moisture (assuming you have a dry cell condition). The combination will also give you a nice balance of Omegas 6 and 9 as well. We suggest a blend because it addresses more needs but if you only want Omega-3 just find a seed oil supplement. Can you take this while breast feeding? Yes, you should be just fine if you are breast feeding. Be sure to ask your doctor before you start just to be safe. Everyone is different so you just want to be sure that for your personal health situation it’s okay. Pingback: Future Broadcast Notes | Wondrous Roots, Inc.
Pingback: Note’s ‘n Links – Wondrous Roots Radio – January 30, 2016 – Rebecca Montrone | Wondrous Roots, Inc.
Could you please let me. O where l can order the eye drops from l had lens replacement ,4years ago fab but had to have lazer treat.ent in Dec last year think it’s called laztec not sure l have very dtt sore eyes and the light hurts my eyes please will this help . I was told the l drops would cure it . We aren’t aware of any actual eye drops that contain sea buckthorn oil. If you take sea buckthorn supplements internally, it can help with dry, sensitive eyes. Buy a product that contains the sea buckthorn fruit oil, as it is high in Omega-7 and that is what will help support your eyes. You can click on our sponsor ads or visit other online retailers to purchase sea buckthorn products. We have heard from many people that sea buckthorn oils have improved their dry eye conditions tremendously, so we think it could really help you too! We would suggest taking the oils internally for at least 30 days. You should particularly focus on the fruit oil because the Omega-7 is great for moisture, especially in the delicate tissues like the eyes. Just look for a product that has mostly fruit oil but if it has some of the seed oil a blend that will be okay as well. You will find that there are different products usually available in either capsules or bottles with pure oil. Which kind is up to you as either form should have the same effect on dryness. Pick the one that is most convenient for you. Just make sure you get a pure, high quality product. A lot of times you will find capsules that have other kinds of oil in them, so check the labels before you buy. Just get one that is 100% sea buckthorn oil and try to find an Organic certified brand as well. Let us know if you have more questions, good luck! 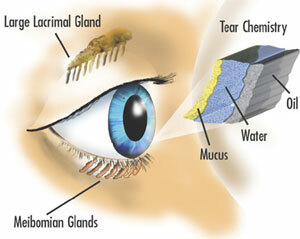 I have been recently diagnosed with Meibomianitis (Meibomian Gland Dysfunction) where my glands in my eyes (particularly the left eye) are inflamed and blocked which stops the oils being released into my tears. Do you think that these Omega 7 supplements will help in my case? Would they help with inflammation and therefore assist the oils to be released? Or would they make me produce excess oils which will lead to further blockage?? Yes, you should try a supplement made from the sea buckthorn fruit oil which has omega-7. Best case scenario would be a capsule that has both the seed and fruit oil. It’s not likely that you would produce excess oils from taking a supplement like that. Both sea buckthorn oils are great for fighting inflammation and they help support the delicate tissues in your body like the ones in your eyes. We haven’t heard of anyone with your condition that have been helped by sea buckthorn, but we have heard from many others who have similar inflammatory diseases of the eyes and delicate tissues like sjorgren’s. There is no guarantee that it will work but you should definitely give it a try. Based on what we know of people who have similar issues, there is a great possibility that sea buckthorn oil could help you. Thank you for getting back to me. I will give the Seabuckthorn Oil capsules a try, I’be been suffering for 4 months now which I know isn’t as long as others, but it just started out of the blue and doctors and opticians are not able to offer me much help which isn’t reassuring. But if these help me in any way I will let you know. Hi. I have very dry itchy and blurry eyes. . No infection from my mgd. Can I still continue to take cod liver oil and flaxseed oil each day..I am taking the max dose advised on the pack. If you want to start taking sea buckthorn oil, you don’t need to take the flaxseed oil. Flaxseed has all the same omega content of sea buckthorn- minus the omega-7 and antioxidants. You can continue the cod liver oil since it has a different type of omega-3 (epa or dha) than sea buckthorn. Actual flax seeds tend to have more complex nutrition than oil products- including B vitamins and fiber. So if you want to keep taking flax we suggest just eating ground flax seeds in food. Just make sure you get a sea buckthorn product that has both seed and fruit oil so you get the full range of omegas. The fatty acids and antioxidants will help with the dryness and if the dryness is being caused by inflammation, it will help with that as well. If your eyes are itchy because they are dry the oils could help with that. However, if your eyes are itchy because of allergies, you may want to dry allergy medicine in addition to your oils. I have chronic dry eyes, mostly mine are always flowing with tears down my face, people often think I am crying, I have a little soreness on the lids, I had 2 cataracts surgery this Jan 2017. but was told this would not help my dry eye. We can’t say for sure if it will help, but we have had a lot of people tell us that a blend of the fruit and seed oil in caps is very helpful for sjogrens and chronic dry eye. There are a few brands that offer a capsule product like that. Follow the dosage on the bottle which will vary between brands and take it for at least a month. Many people have found relief for similar issues so it could be a solution for you. It depends on if the irritation is being caused by dry eye. If the pool chemicals are drying out your eyes, then yes, it’s very likely that taking a daily sea buckthorn supplement could help. Sea buckthorn oil does have a soothing effect for delicate tissues as well, so if your eyes aren’t dry but are just plain irritated it could help too. We know for sure that sea buckthorn oil is good for dry cell conditions but we can’t say for sure that it will quell all irritation. We think it’s best to just follow the dosage recommendations on the specific product you buy. In general, you don’t really need to be taking more than 500 mgs a day. 2000 mgs seems like a lot to be honest. We recommend sticking with the manufacturers recommendations and following up with the company you buy from if you have more questions about dosing. Is buckthorn really helpful for sjogrens syndrome?? I am suffering from this disease badly..pls let me know..thank you..
We have had many people tell us that sbt oils help tremendously with the dryness that occurs with sjogrens. In addition to whatever treatment you are doing for the illness, we recommend taking a daily supplement that has both sea buckthorn seed and berry oil. Can I drop the sea buckthorn oil directly into my eyes? While we would not suggest dropping the oil directly into your eyes, you can still use the oil to relieve dry eyes. The best way to do this is to take the oil orally. You can purchase the oil as capsules that you can take twice a day. If you already have the pure oil form of sea buckthorn oil you can add it to drinks, smoothies, or salad dressings. For the past 2 yrs, I have been suffering from a severe dry eye. Just the other day I had a dry spell and it took 2 days that I had to wear sunglasses when there wasn’t any sun. I was told about Buckthorn and how it helps dry eye. I have a question when taking the oil or the capsule how long before seeing results of not having the dry eye. To what I have read I don’t think dry eye is reversible but anything that would help prevent the severe pain that comes from dry eye, I am willing to try anything. It really varies from person to person. You should try to take an oil supplement daily for at least a month or two before seeing results. It’s possible that it could work quickly- but again, everyone is different. Sea buckthorn oil helps the long term health of the cells and your body’s lubrication system- so it doesn’t work right away like eye drops do. I have really dry eyes which came on last year for no reason I’m in my 50s and am putting it down to menopause, it seems to flare up every now and again but drops don’t seem to be the answer, I saw that omega 7 is helpful for dry eyes how long would it take for the tablets to work as they are expensive for the sea bucktorn gel’s. It can take various amounts of time for people to see results from sea buckthorn oil supplements. Some people see results right away but for many people, they see results after about 1-2 months of regular daily use. I have been taking omega 7 oil capsules for the last 2 weeks and I can feel real improvement from the very dry eyes (Sjorgrens) which I have had over the last few years. I have reduced my eye drops to once per day and now wake up in the morning with much more comfortable eyes. I am very happy with the improvement. I just came across these capsules by chance in the local health food store and the assistant recommended them. I hope that others who have this problem give it a try and get the same relief. I have been taking omega 7 supplement capsules over the last 2 weeks and am happy to say that my dry eye symptoms have really improved. I’ve had the condition over the last 2 years but has got progressively worse over the last 12 months and was quite uncomfortable. I have been on 3 different types of drops each day including a cyclosporin drop but now have found that I am using just one eye drop and waking up with much more comfortable eyes. I only came upon omega 7 capsules by chance in the local health food shop where the assistant recommended them, I hope they help others with dry eyes, they are worth trying.